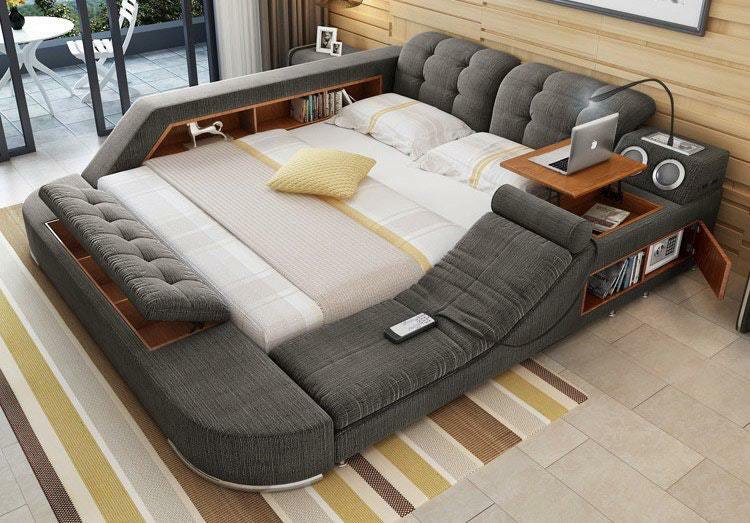 Once you get a look at this multifunctional bed, you’ll rethink all that’s been going on in your bedroom. 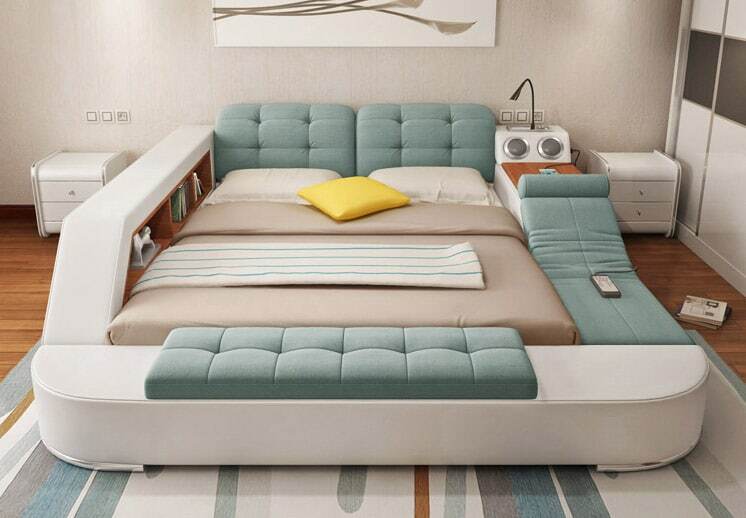 This bed is practically begging you not to leave it. 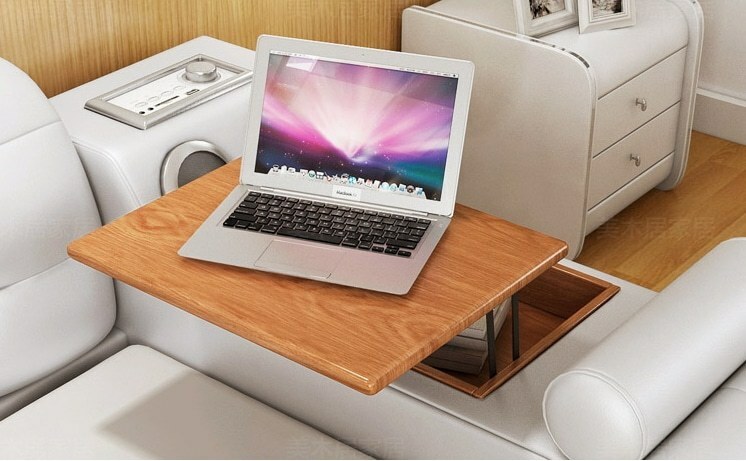 It looks cool, it’s compact and totally customizable with endless amounts of storage. You can charge gadgets, listen to music, plug in USBs, and even receive a massage from its built in massage chair. The list of all the things this bed can do is endless. It’s sold through a variety of Asian retailers where you can mix and match features (link below). 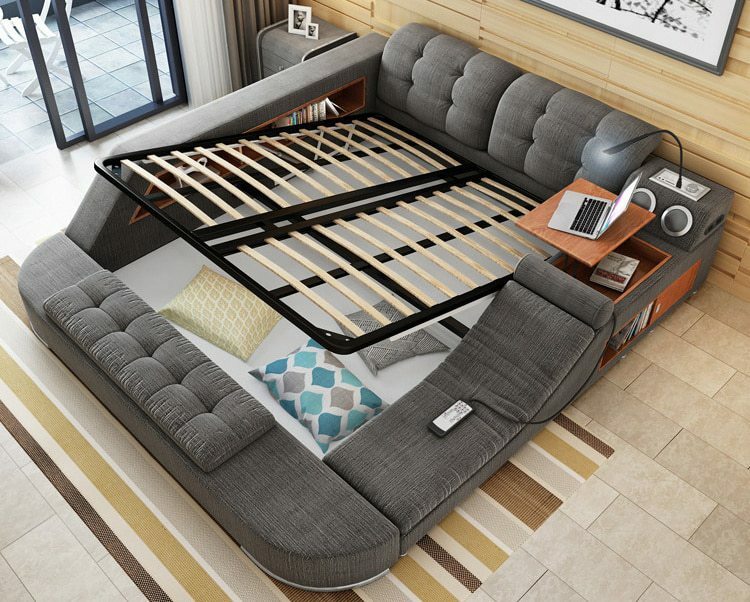 This cool bed ranges from $500-$1000 in price depending on the size and features you choose. You purchase the bed here if you’re interested. 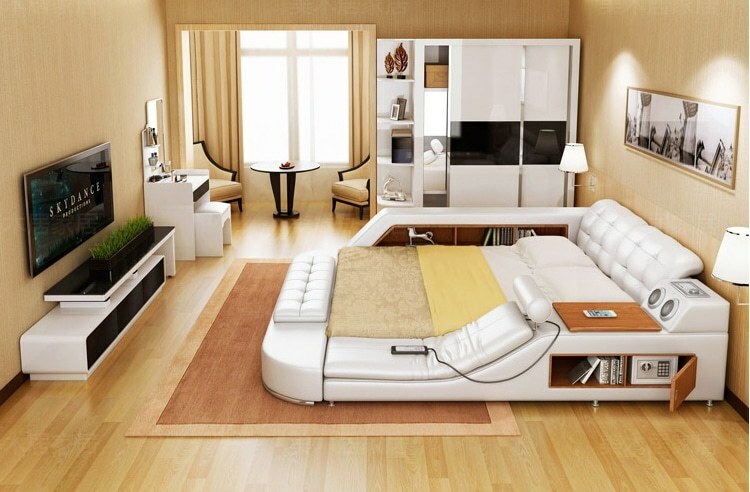 Check out even more cool beds! Be sure to give this post a thumbs up and a share with your friends on Facebook before you go.